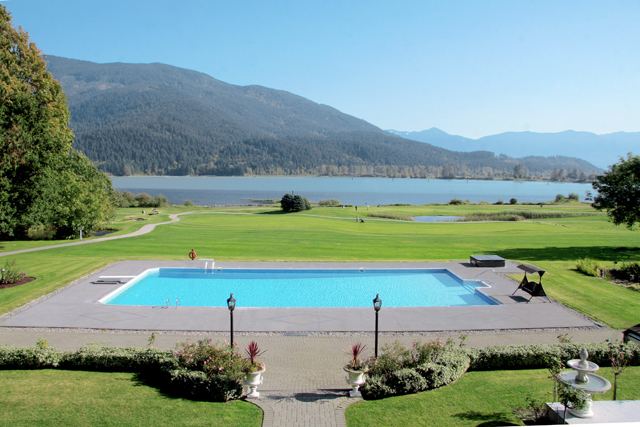 On the shores of the Harrison River, about a 1.5 hour drive from downtown Vancouver is Rowena’s Inn, quite possibly the most romantic luxury resort getaways in the Fraser Valley. 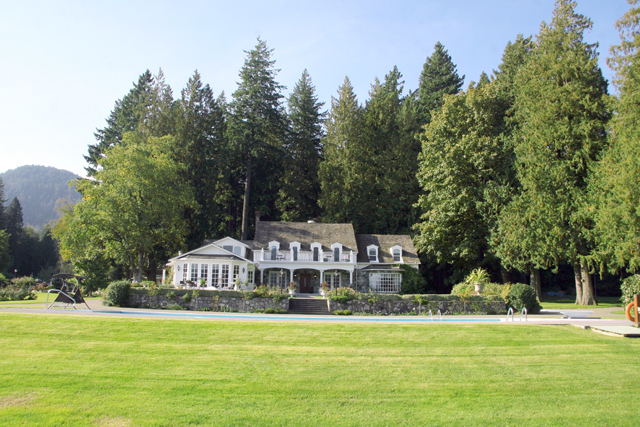 The Pretty family, well-known pioneers of BC’s timber, logging and natural resource industry, purchased the 160-acre estate located near Harrison Mills in January 1924. The first priorities for the new owners were to install running water and other basic living necessities into the two-story country farmhouse. The property became a working dairy farm. In the 1950’s the farmhouse underwent major renovations. The wrap-around veranda was enclosed to bring much needed space to the interior, a drawing room was added to the front corner and a pool was put in right in front of the house. The house was maintained as is until the passing of Mr. Pretty in the 1990’s. At that time, his two remaining children, Betty Ann and her brother inherited the property and decided to turn their family home into a resort. 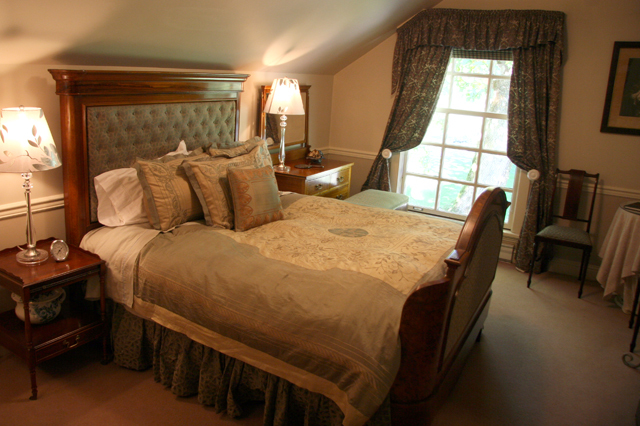 One of the five guest rooms in the Inn. The home was renovated in 1994 and offered full-service accommodations. In 1998, golf course designer, Russ Olsen, completed work on the 18-hole natural forest golf course. 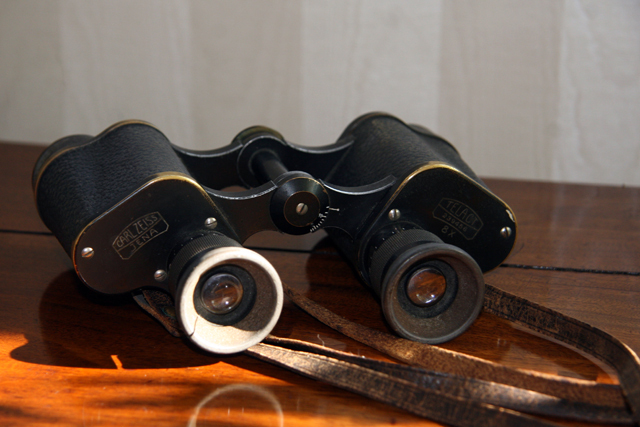 Today, the five-bedroom Inn offers visitors a chance to take a step back in time to appreciate the luxury of days gone by. The lovingly preserved home is filled with heirloom antiques and collectibles the family has acquired over the years and the décor is period appropriate. 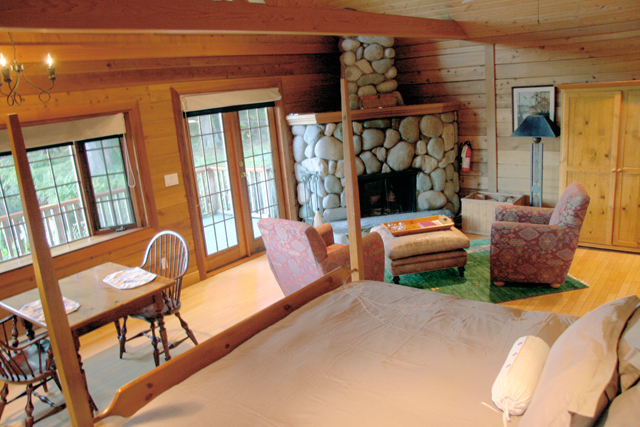 Log cabins with king size bed, fireplace, patios and more. The estate also offers four luxury log cabins, complete with heated slate floors, real wood-burning river-rock fire places, king size beds and two-person Jacuzzi tubs. The private cabins are the ultimate romantic accommodations. The entire estate is open to the public. There is a full-service restaurant on-site open for breakfast, lunch and dinner, and a traditional English afternoon tea service is available in the Inn. The golf course is open early spring through late fall. 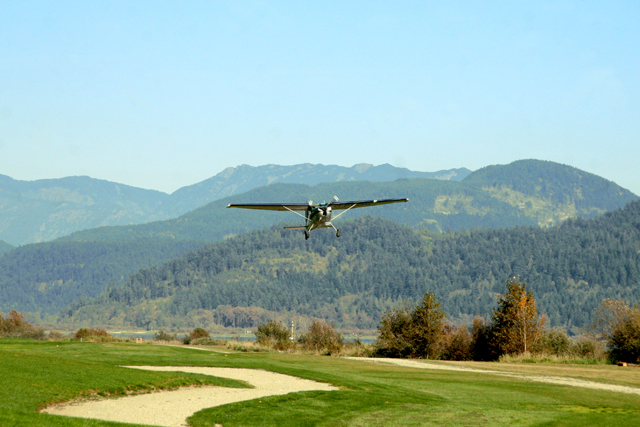 Private airstrip; just a 30 minute flight from downtown Vancouver. Rowena’s Inn, named after Mr. Pretty’s wife, is open year round, and is the perfect getaway for a romantic birthday, anniversary or other special occasion. For more information about Rowena’s Inn and to make reservations, visit the Rowena’s Inn website.